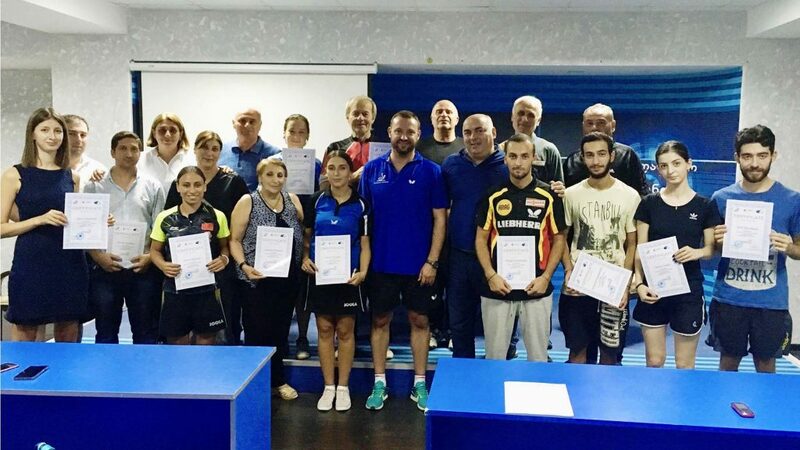 Situated on the borders of eastern Europe and western Asia in the Caucasus region of the world, Tiblisi the capital of Georgia, was the home for a recent self-funded ITTF/PTT Level One Course. Organised under the auspices of the ITTF Development Programme proceedings commenced on Thursday 7th September and concluded on Monday 11th September. 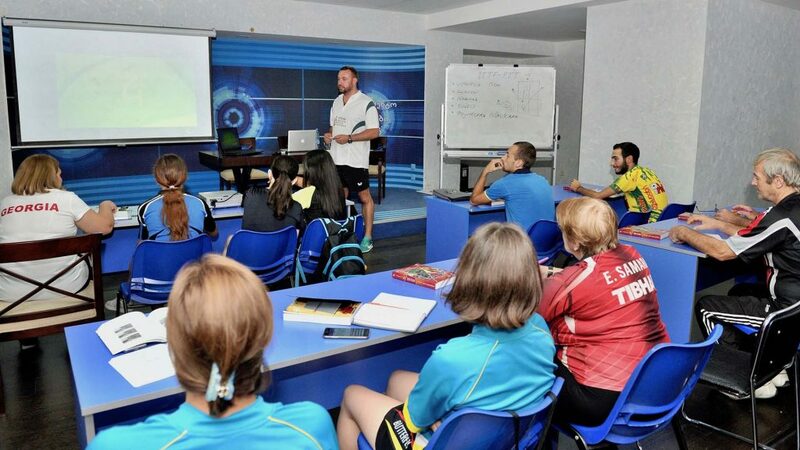 Under the direction of Aleksey Yefremov of Belarus, a total of 17 coaches, of whom seven were female, representing all six regions in the country, attended. Both theory and practical sessions on the agenda, each day two sessions were held; the first from 10.00am to 1.00pm, the second from 2.30pm to 5.30pm. Overall, five table tennis tables plus 300 balls in addition to water and snacks were provided by Table Tennis Federation of the Republic of Georgia. A busy time for Aleksey Yefremov in the Arena Sports Complex; in addition meetings were held with key personalities. 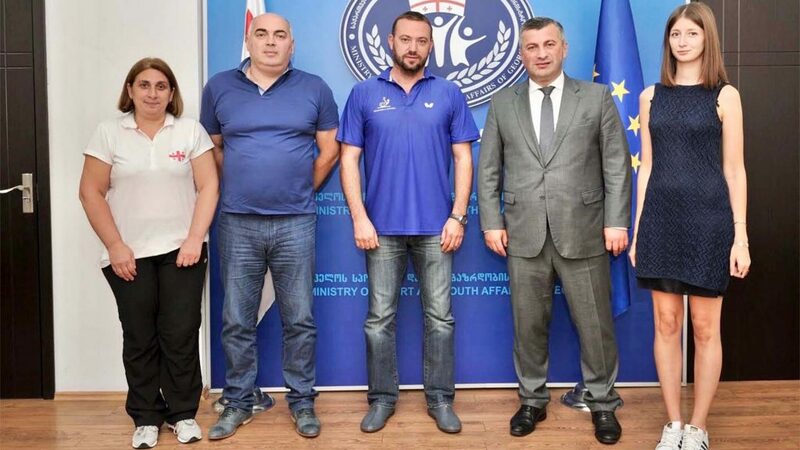 Notably Aleksey Yefremov met Guram Gogoladze, elected President of Table Tennis Federation of the Republic of Georgia in December 2014, alongside Nino Ninoshvili, the National Head Coach and Nino Khvichia, the General Secretary. Most significantly Aleksey Yefremov was able exchange ideas with Tariel Khechikashvili, the Minister of Sport and Youth Affairs. The idea of having a permanent hall for table tennis was high on the agenda; a topic that was well received by the Minister was showed a great interest for table tennis.